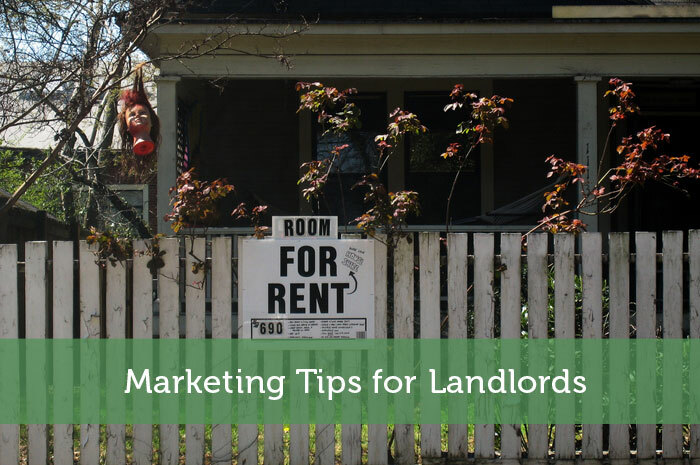 The following is a guest post about marketing tips for landlords. If interested in submitting a guest post, please read my guest posting policy and then contact me. Whether you have a full and varied portfolio of houses and flats or a single rental property, it’s important that you have the tools in place to enable you to generate interest from tenants as and when you need to. In order to minimise any period between tenancies and provide you with a continuous income of rent, there are a number of approaches you can take to successfully marketing your property. There are a number of different approaches to marketing a property, whether you prefer to take care of matters yourself or to call in a little outside help. Here are just a few of the methods that you could explore before embarking on the best marketing campaign for you. Social media sites provide a fantastic platform for businesses to market their services at very little cost. Setting up a profile on sites such as twitter, facebook, Google+ and pinterest is completely free, so the only compulsory investment is in the time it takes to keep them updated with your latest news and a selection of interesting snippets from around the web. Social media allows you to tap into the heart of your target market and to make a valuable connection with potential new tenants. To really give your facebook profile a boost, consider running a targeted marketing campaign with facebook ads, and generate interest with a competition. The majority of modern renters begin their property search online, so if you manage a portfolio of properties and prefer to keep everything under your own control then you should give serious consideration to a website of your own. Unless you’re confident that you know your way around web design it’s well worth hiring a professional to build your site for you. Explain to them that you want to be able to manage the content yourself, so that you can make changes and keep it up to date without the need for any on-going fees. If the idea of managing your own website is a little overwhelming, you may decide that you’d prefer to hand over the reins to a letting agent. Using a reputable estate agent will of course cost you a percentage of your income each month, but it will also mean that your property is listed on a good quality, high-ranking website that is browsed by tenants every day. Estate agents spend a great deal of money on their own marketing campaigns to ensure that the public has confidence in their services, and there’s no reason you shouldn’t piggy back on this success. If you’re attracting viewings that are spread out over the day it can be a time consuming and frustrating experience. By arranging an open house viewing event you can give access to multiple tenants at the same time, as well as demonstrating the fact that your property is highly desirable and potentially leaving room for a bidding process from interested parties. If you’re worried that an open even may backfire if you don’t have enough visitors, ask a few friends and family to look round during your first event to give a safety net while you gauge the level of interest. I think it really depends on where you live. Craigslist is quite popular here for finding property rentals, but in other cities that isn’t necessarily the case. I agree that I couldn’t see anyone needing a website unless they had several properties to rent. If you’re targeting students you can definitely rely more on online postings. Still it might be worth posting elsewhere in hopes of getting a longer term tenant. These are great tips. I think social media is undervalued when looking to rent out a place. Having a family member or friend rent out a place you own could be ideal. They’ll probably treat it better and pay you on time more than a stranger would. Yes renting to a friend or family member may have its advantages. At the same time though, it could be tougher to be strict about things such as paying on time. You’d probably be more willing to cut them some slack. As another remarked above, anyone I’ve talked to in the last 5 years found their apartment through Craigslist. That’s the way to go for most mainstream type apartments. I’ve found all of my rental apartments on there too. When there are so many listed on craigslist it just doesn’t make sense to search somewhere else. I wouldn’t expect the same to be true in smaller cities though. In that case there might be locally based message boards to use instead. I find all my tenants via craigslist or connections I already have. In a college town like Boston, I think that is the way to go. If it’s working for you, there is probably no need to change things up. It’s nice to have a free way to market your rental and reach a very large audience. I got a great tip from Planting Our Pennies about putting up fliers in laundromats. Generally homeowners would not be there, so it’s a great pool of renters to tap, especially if your property has a washer and dryer. Good idea. That would definitely be the rental crowd there and many laundromats probably have a message board. Plus people have time to kill there to read what is posted. What works best for me in finding tenants is advertising on Craigslist, putting arrow signs around the neighborhood, and open houses. If you are going to use a company to manage your rental properties, it pays to check them out pretty carefully. It’s not uncommon for companies, or real estate agents who manage properties, to manage so many properties that they don’t devote much time to actually managing properties beyond collecting rent and making minimal repairs. I think an owner will almost always take better care of the property than a company. The owner has a lot more to lose if the condition of the property diminishes over time because of loose management. There seems to be countless way to ensure you keep the tenants coming! I totally agree with that the owners will take great care of their properties than some agencies, their income, reputation and properties are on the line, I guess why most entrust management to agencies is to avoid the hassles of ensuring occupancy, collecting rent and dealing with tenants. Its always good advice to thoroughly check and vet agencies before you entrust your properties to them, getting referees and past clients wouldn’t hurt! Social Media is great for just about everything because the reach is so large. We have used craigslist to rent our condo. Definitely Sean…social media rocks when it comes to getting the word out on rental property, your social circles will help spread the word fast! Social media is really something that landlords/businessmen should take into consideration in advertizing their businesses because a lot of people nowadays make use of it.